This business centre is within the AIA Tower complex, one of the most spectacular waterfront architectures in the heart of Macau. The centre boasts a contemporary office design, Cisco IP telephone system and exceptional business support services. Convenient transport to both International Airport and Ferry Terminal. Five-star hotels, exclusive restaurants and shopping mall are within the same complex. Located at the top of a 27-storey office tower, this fully furnished office space provides panoramic views of the old city. A number of serviced spaces are available suitable for up to four people. This building is at the heart of one of the primary commercial districts in Macau, and is well within walking distance to most government departments and major banks. You'll have plenty of choice come lunch time, thanks to the number of restaurants and supermarkets located nearby. 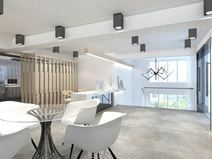 This business centre is located right at the central business district of Macau, and prides itself on providing an efficient alternative to a traditional office unit, these fully furnished, private workspaces allow you to focus on your business growth while everything else is take care of for you. 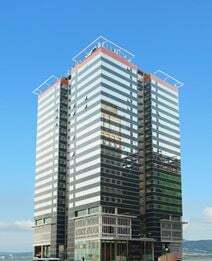 Just a few steps away from many government offices, banks, commercial buildings and Leal Senado Square.